To promote participation in the computing age of the future, Asperger syndrome computer programs for patients can open many doors. If you or a loved one has an interest in gaining access to therapeutic software for developmental disorders or finding suitable college computer courses, the path to your goal is shorter than you may think. In a world where many everyday tasks are overwhelming, computer programs offer solutions that provide benefits on several different levels. The list below highlights some of the direct advantages of computer exposure for patients with common symptoms of Asperger syndrome. People with Asperger may also reap surprising rewards of a different sort by operating computer based programs. For many Asperger patients, computer activities provide a degree of control they may not experience in other situations, making the computer world an environmentally comfortable setting. This can lead to better communication and socialization skills as well as improved overall focusing abilities. Additionally, children and adults with Asperger often experience personal satisfaction or contentment when interacting with computers, leading to a broader range of interests and skill sets. Unlike people, computers function logically, consistently and emotionlessly. These are extremely attractive attributes for people with Asperger syndrome and have the extra advantage of helping build strengths and abilities already present. For high-functioning patients, an interest in Asperger syndrome computer programs may indicate they are ideally suited to a lucrative computer science career. If you or a loved one has AS, the sections below provide guidance. From games and software that help improve skills or college courses for career building, Asperger syndrome has made an indelible mark on the computer age. Browse this section for access to computer programs for people with Asperger syndrome. Additional software is available at most of the web links included in the list. Blooming Kids: The computer programs by Blooming Kids address many of the learning disabilities patients may experience. With over thirty software titles to choose from, AS patients learn to improve abilities like communication, vocabulary, memory and life skills. Compu Thera: Using a system of applied behavior analysis and discrete trial training, Compu Thera teaches cognitive skills to children who rely on visual cues for learning. The software supplies customized treatment plans with visual and auditory prompts as well as data logs and analysis options. Social Skill Builder: Parents can help their kids get a head start on socialization with the software titles available at this resource. 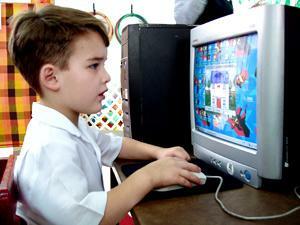 The computer programs focus on social skills such as appropriate behavior, manners, play skills and peer interactions. Young adults with Asperger can take the computer skills they cultivated during childhood and turn them into a career in the computer industry. Take a look at the list of schools below that provide specialized education for people with disabilities. Horizons School: In addition to a comprehensive computer lab, the school provides extensive life skills instruction. Boston College: Offers computer science programs with a variety of degrees and provides disability services to qualified candidates. New York University: NYU's computer science department provides comprehensive instruction as well as an array of disability services. California Polytechnic State University: By merging education with disability services, students benefit from a computer science education focused on both theory and practice. The use of Asperger syndrome computer programs can greatly enhance the quality of life for adults and children, but always remember to monitor their usage. With time and planning, computers and college programs can lead to a fruitful and enriched life.